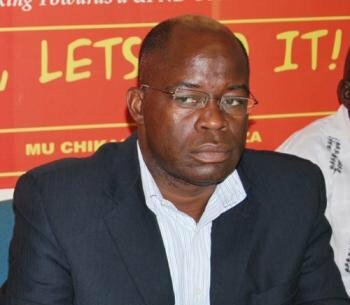 OPPOSITION United Party for National Development (UPND) has demanded that Chief Government spokesperson Dora Siliya publishes the contents of the approved Access to Information Bill so that people are able to scrutinize it. In a statement yesterday, Party spokesperson Charles Kakoma noted that this was not the first time government had issued statements to excite Zambians on the Freedom of Information Bill with Justice minister Given Lubinda in February 2017 having assured stakeholders that his ministry had engaged other line ministries so that the contents of the bill was made available. Kakoma noted that to date, the draft bill has not been made available and now Zambians are being told that it has been approved, contrary to what Lubinda had promised. He said that the UPND was also cognisant of the fact that the same bill was presented to Parliament in the year 2002, more than 16 years ago through a private members motion and government tricked the MPs who presented the Bill to withdraw it so that it is tabled by a Cabinet minister and to allow for more consultations. He alleged that one of the countries that Zambia has consulted over the Freedom of Information Bill was Zimbabwe, where the law was used as a tool for suppressing freedom of expression and media freedom instead of enhancing people’s access to information held by public institutions. Kakoma said that the original objective of the information law was to enhance transparency and accountability in order to empower people to make informed decisions adding that it was supposed to help the country in the fight against corruption, mismanagement of public resources and mal-administration. He said the UPND is suspicious because this approval comes at a time when there is heightened clampdown on media freedoms as well as shrinking media space in the country. “It’s also shocking that a government which has hijacked, manipulated, threatened, cowed down and bought off a number of media houses for the sole purpose of monopolizing the dissemination of information would in a twinkling of an eye rush to approve a Bill whose content is only known to themselves. As a result, UPND remains sceptical of the schemes of the PF government as the public is not aware of the contents of this Bill due to lack of adequate stakeholder consultation. It should not be a Bill meant to hide secrets and sweep dirt under the carpet in order to preserve the PF’s hold to power,” he said. Kakoma said it was deceptive and self-contradictory on the part of the PF to hasten to enact the Access to Information Bill with the intent of gaining political mileage on one hand, while on the other hand shutting down media houses on the false pretext of unprofessional, unethical and biased media coverage. He said it is clear, government was trying to shift attention from the condemnation it had received from local and international stakeholders over the closure of Prime TV for showing scenes on the attempted assassination of the UPND President Hakainde Hichilema in the Sesheke parliamentary by election. He has reminded the PF to respect the numerous protocols, treaties and agreements bordering on freedoms to which Zambia is a signatory such as the United Nations Universal Declaration of Human Rights, the African Charter on Human and People’s Rights and the Declaration of Principles on Freedom of Expression in Africa. He said public bodies hold information not for themselves but as custodians of public good and every citizen has a right to access this information.